It seems like everyone is obsessed with their eyebrows these days – so much so that like fashion and beauty, they have their very own trends! Here we’ll talk you through some of the latest eyebrow trends and how to achieve them yourself. Over the past couple of years it’s been all about strong, dark eyebrows, however it’s looking like bleached brows are now making an appearance. The idea is that you bleach your brows as close to your skin tone as possible, so you basically look like you don’t have any eyebrows. A number of celebrities have been wearing this look including Lady Gaga and Kelly Osbourne. It’s definitely not a trend everyone will want to covet but if you like to stand out, it’s sure to do the trick! When it comes to filling in your eyebrows, it’s likely that you usually pick up a brown, taupe or ashy coloured brow pencil but according to all the beauty magazines, brightly coloured brows are a huge trend right now. Yes, we’re talking blue eyebrows, pink eyebrows, green eyebrows – basically any coloured eyebrows that you wouldn’t be born with naturally. Some people with dyed pink or blue hair have been dying their eyebrows to match, whereas others have maintained a natural hair colour, with statement coloured eyebrows. It’s certainly not a beauty trend for the faint hearted. The messy brows trend takes naturally thick and well shaped eyebrows to the next level. In late 2015, it’s all about achieving that natural, ungroomed look that celebrities including Jennifer Lopez and Sophia Vegara are rocking right now. So if your eyebrows are looking a little unruly, don’t panic! Apparently it’s fashionable. 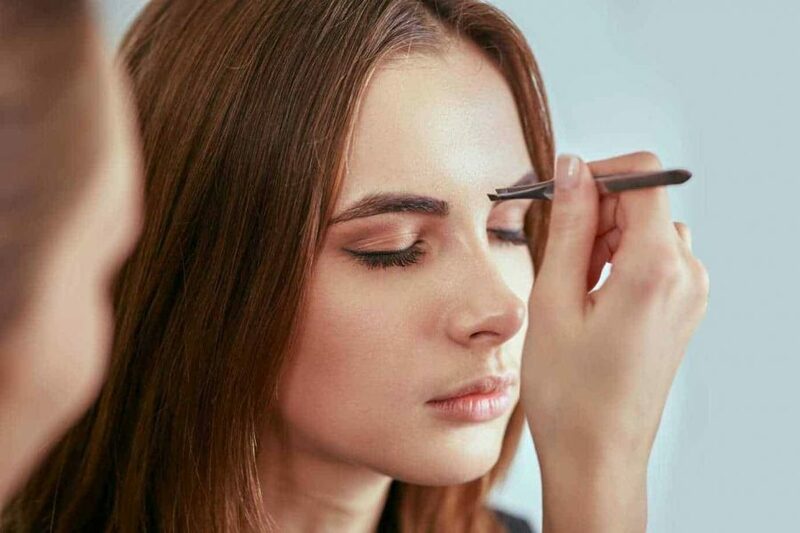 Whilst you would usually fill in your brows and attempt to achieve as natural finish as possible, the dramatic pencilled in brows look requires you to keep it looking pretty obvious that you’ve filled in your eyebrows. It’s a nod to the heavily pencilled eyebrows that were fashionable in the late 1950s and early 1960s. Hair extensions have long been used to give women longer locks but did you know that you could now buy brow extensions too? Basically, tiny hair fibres are matched to your natural hair colour and texture and then precisely placed using transparent glue, following the natural growth of your eyebrow hairs. The extensions are apparently sweat and water-resistant and should last for about four weeks. If however you’re lacking in the brow department and are looking for a more permanent solution than brow extensions, then an eyebrow transplant is the perfect solution. Whether you’ve over plucked your eyebrows, suffer from hair loss or simply desire thicker and better shaped eyebrows, then an eyebrow transplant is sure to meet your requirements. In order to carry out a successful eyebrow transplant, each eyebrow requires between 250 – 400 donor hairs, which are usually taken from behind the ears, using very tiny needles to prevent scarring. The hairs are then placed in the position of the other eyebrow hairs and spaced closely together, in order to create that desirable full and smooth appearance. Those undergoing an eyebrow transplant will receive a local anaesthetic, so they don’t have to worry about being uncomfortable or in any pain. Recovery times are very quick and do not require any sort of hospital stay. If you are interested in transforming your face with an eyebrow transplant, then get in touch with Wimpole Clinic today for a consultation.